Cleanwell professional is a family run business based in Newtownards which has gained 10+ years practical experience and knowledge refurbishing floors. New and old floors revived and restored. Fully trained and helpful staff. Domestic and commercial enquiries are welcome. 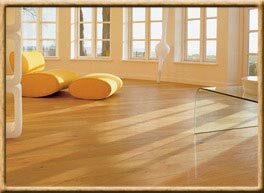 Wooden floors- Sanding and sealing. Stone floors- stripping, deep cleaning, resealing and impregnating. Slate- Deep cleaning and resealing. Carpet - Deep cleaning and stain removal.